For Constructed Response Questions Use R.A.C.E. Whats Happening This Week in Grammar! What's Happening this Week in Class! Review Chapter 9 what still confuses you? Definition: The word 'Preamble' refers to the introduction of an important document that explains the reason and the purpose of its content. The Preamble to the Constitution declares the beliefs, principles and aims of the US Constitution, the basic framework for the system of Government in America. SS4H2 Analyze the challenges faced by the framers of the Constitution. a. Identify the major leaders of the Constitutional Convention (James Madison, George Washington, and Benjamin Franklin). b. 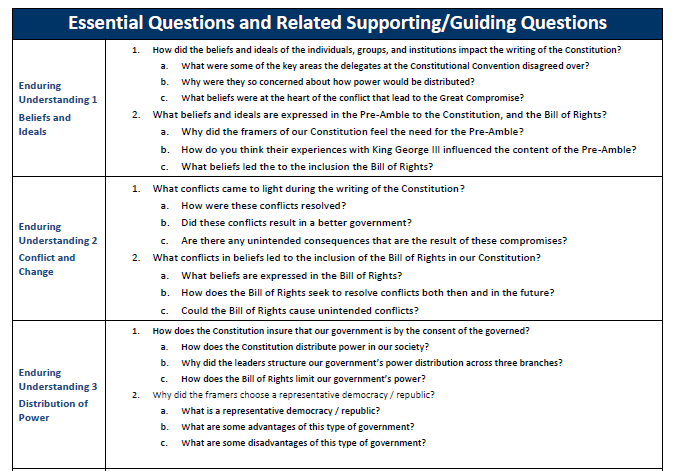 Evaluate the major issues debated at the Constitutional Convention: the weaknesses of the Articles of Confederation, the rights of states to govern themselves (federal system), the Great Compromise, and slavery (Three-Fifths Compromise). SS4CG2 Explain the importance of freedoms guaranteed by the First Amendment to the U.S. Constitution. SS4CG3 Describe the structure of government and the Bill of Rights. a. Describe how the three branches of government interact with each other (checks and balances and separation of powers), and how they relate to local, state, and federal government. b. Identify and explain the rights in the Bill of Rights, describe how the Bill of Rights places limits on the powers of government, and explain the reasons for its inclusion in the Constitution in 1791. The Constitution is the framework for the federal government of the United States. It is the highest form of law in the country. The Constitution creates the branches of government and gives them the power to govern. However, it also protects the citizens of the United States and guarantees their basic rights. The first Constitution was called the Articles of Confederation, which was ratified in 1781. The Articles of Confederation had issues, however. The main issue was that the government had no money or way to get money under the Articles. The army wasn't being paid and was deserting. Debts to foreign countries weren't being paid. The government became too weak and a new constitution was needed. In May of 1787 the Constitutional Convention gathered to discuss changes to the Articles of the Confederation. After some debate it became apparent to the representatives that a new Constitution was needed. A lot of the debate was held in secret so that the delegates would feel free to speak their minds. A primary aim of the Constitution was to create a government that would be powerful enough to run the country, but would not impose on people's or state's rights. To avoid too much power being held by one person or group, they created the Balance of Power between the three branches of government: Executive, Legislative, and Judicial. Virginia Plan - The Virginia plan was written by James Madison. It represented the desires of the larger states and said that the number of representatives to Congress should be based on the state's population. New Jersey Plan - The New Jersey plan was written by William Paterson from New Jersey. It represented the smaller states and said that each state should have the same number of representatives. In the end, an agreement was reached called The Great Compromise. This allowed the number of representatives to the House be based on the state's population while each state would have two representatives in the Senate. In order for the Constitution to go into affect, 9 of the 13 states needed to ratify it. The first state to ratify the Constitution was Delaware on December 7, 1787. The last state was Rhode Island in May of 1790. James Madison is often called the father of the Constitution since so much of his work and ideas were incorporated into the final document. Gouverneur Morris wrote the Constitution and is widely credited with authoring the famous preamble. 39 of the 55 delegates at the convention signed the document. Many who refused did so because of the lack of a Bill of Rights. The US Constitution is the oldest written constitution still used in the world today. The Constitution that is on display at the National Archives was penned by Jacob Shallus. There are currently 27 amendments to the Constitution. 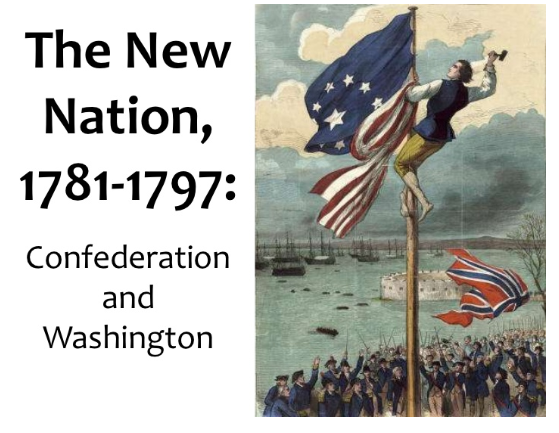 What are the Articles of Confederation, why didn't they work, and what else was needed? What was the Virginia Plan? What was the New Jersey Plan? What was the Great Compromise ? Who were James Madison, George Washington, and Benjamin Franklin and how did they influence the Constitutional Convention? What was the Three-Fifths Rule? Why did we need a Bill of Rights and what are they? Preamble...and what does it mean? What is the Federal System of Government?